Late last year my bible study group went through a series on prayer. By this point of the year, I had finished university for the year and had returned to Auckland for the summer, however each week I was updated on what the group had looked at and invited in to join in the group challenge for the week. The first of the challenges was to each evening, at quarter past five, pray the Lord’s Prayer. 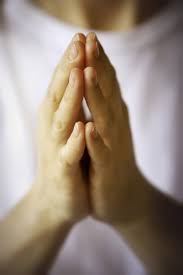 A few weeks earlier, prior to my leaving Wellington, we had discussed the Lord’s Prayer, though we each could recite it if necessary, when we did we never gave any real thought to what we were praying. It was just another one of those things you learnt in Sunday School, and never really gave much thought to since. Therefore our challenge was to not just make time for prayer each evening but to as we prayed, think about the words of the Lord’s Prayer and make them our personal prayer. So not wanting to be the only one in the group to forget, I set an alarm on my phone for 5:15, looked up the Lord’s Prayer on my Bible app (I didn’t want to accidently miss a line) and resolved to actually pray, rather than recite, the Lord’s Prayer each night for a week. The first day went ok. It was quite surreal knowing that in that moment, a group of us, though apart at the time, were making the same prayer, but though I tried to not just recite the Lord’s Prayer, I struggled to make it a personal prayer. However by the second day, it was already beginning to feel like a chore. My alarm went off, and rather than give any real thought to what I was praying, I recited the Lord’s Prayer in my head. It was the sixth day of our week long challenge before I managed to actually complete a day of the challenge properly. This time when 5:15 rolled around I was sitting on the train. Maybe it was because while on a two hour commute there isn’t much else to do, but this time instead of reciting, I pulled up the Lord’s Prayer, again on the bible app, and instead of simply reading it and then closing the app, I tried to read it line by line, and understand why Jesus, when teaching the disciples to pray, taught them this prayer. “Your will be done”, words that flow so easily off the tongue when reciting, much harder to pray with sincerity. So often I pray for things that I want to happen and while most of the time my prayers are said with good intentions, comparatively, I rarely pray for God’s will to be done. Praying God’s will be done, means signing up for something, before you are certain what it is. It means having complete faith in the plan God has, and putting your own personal plans, second to His. Not easy stuff. As I looked deeper into the rest of the Lord’s Prayer, I began to properly realise that it was much more than a bunch of words memorised by Christians the world over. It was a prayer of surrender. It was a prayer acknowledging that it is God who is in control. It was a prayer that served as an invitation to God to use us for the furthering of his Kingdom- whatever that may look like and whatever it may mean for us. The challenge officially ended the following day, and a new one issued, this time we were challenged to fast from something in order to give us more time to spend with God. My extra time was spent in prayer, but with a new focus – “your will be done”.